Valeriy lived in Zhmerynka city, Vinnytsia region. He was an entrepreneur, founded the first computer club of the city, was an ebru (painting on water) artist. In 2013 Valeriy became a finalist of “Ukraine’s Got Talent» TV show, won “Zhmerynka’ Got Talent” competition in his native city. 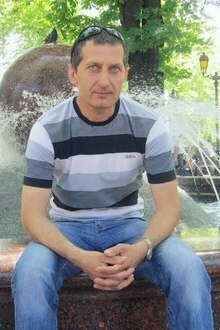 He was a member of city division of “UDAR” party. Valeriy died February 18-19 night when Maidan was attacked by the special forces. He was shot in his back. Valeriy was buried in Zhmerynka.